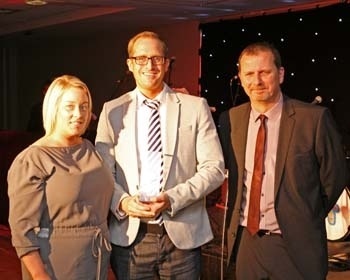 Southport and Ormskirk Hospitals NHS Trust, Hospital Pride awards are an annual event now in its fifth year, held to recognise the hard work of Trust staff. This year the Mortuary and Bereavement Service won the Transformation and Innovation award. The team were nominated by Anaesthetic Consultant Dr Kent. The team, led by Ben Swift, have gained extra skills to enable them to significantly increase the tissue donations from the Trust. This service now enables the Trust to ensure that the wishes of patients on the Donation Register can be delivered. The Trust’s performance has been praised by the local NHSBT coordinator based in Speke. The team had also been nominated for Team of the year award from a separate nomination by the Palliative Care Consultant Dr Groves for the drive, willingness and commitment of the mortuary staff.